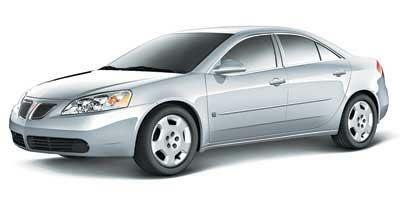 A carry-over from 2007, the G6 is a four-door five-passenger sedan offered in four trim levels – the Sedan, GT, GTP or new for 2008, the GXP. The Sedan comes standard with a 2.4-liter Ecotec engine that produces 169 horsepower with the optional 3.5-liter V6 that produces 224 horsepower (standard in the GT model). Both come equipped with a four-speed automatic transmission. The GTP features a 3.9-liter V6 that produces 240 horsepower with either a six-speed automatic or manual transmission, and the GXP has a 3.6-liter V6 that generates 252 horsepower, which includes aggressive styling distinct from the other models. 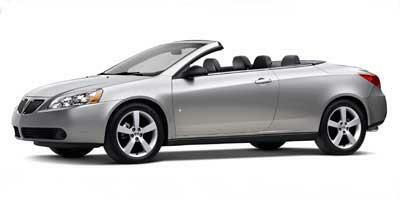 For 2008, the Pontiac G6 lineup is bolstered with a new, performance-oriented GXP sedan and coupe, which replace the former GTP for all but the convertible. The convertible is now only available in a single trim, the GT. Safety is also stepped up. Seat-mounted thorax side impact air bags are now standard on all models, along with anti-lock brakes. Entertainment systems are improved with a new auxiliary input jack for all models, plus OnStar. GT models now get standard XM satellite radio, and an 18-inch wheel option is new for the GT convertible. Three new exterior colors are offered: Cranberry Metallic, Midnight Blue Metallic, and White Diamond Tricoat. Unique folding hardtop convertible; standard side and curtain air bags; fuel efficiency (four-cylinder); solid acceleration (V6s).